I just received a brief note that the Grand Lodge of Kentucky F&AM has recognized the Most Worshipful Prince Hall Grand Lodge of Kentucky F&AM. No visitation privileges were granted at this time. They are recognized as a sovereign jurisdiction only. But it's a good first step. The Prince Hall Grand Lodge asked for recognition without visitation at this time. This leaves Alabama, Arkansas, Florida, Georgia, Louisiana, Mississippi, South Carolina, Tennessee and West Virginia as the last nine remaining mainstream grand lodges that do not recognize their Prince Hall counterparts. Ummm, so what does this recognition entail? If it's like in Texas, they recognized the PHA Grand Lodge as regular, they just haven't granted visitation rights. Saying, essentially, we recognize them as full brother Masons, but no visitation as of yet. One down, only 7 more to go! About 3.5 weeks ago, the GL of AF&AM of NC voted to recognize the PHA GL of Oklahoma, which charters many military lodges. There was one rumor monger coming up to claim OK was recruiting in the war zones, but then a young STRAK-looking vet got up to refute the allegation. The vote was close to unanimous. WOO-WOO! 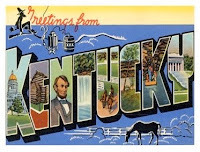 Basically it means that they are now officially recognized as another legitimate Grand Lodge of Freemasons operating in the Commonwealth of Kentucky, and are no longer considered "clandestine". They are recognized as a sovereign jurisdiction only, so there will be no cross-visitation at this time. As mainstream Masons, we are no longer bound by our obligations to not recognize them as Brothers. Nope, 9 to go, unfortunately. Down here in Tennessee I didn't notice the world coming to an end. Perhaps recognition without visitation is a good first step for jurisdictions like ours that are so steeped in the "old ways". 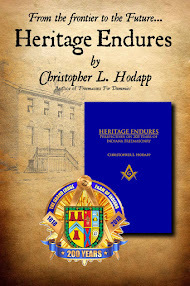 According to Kentucky's Past Grand Master, MW L. Todd Eastham, "It was a total team effort of the Elected Grand Line Officers over the past few years of both the Grand Lodge of Kentucky and the Most Worshipful Prince Hall Grand Lodge of Kentucky, as well as each respective Grand Craft bodies who voted for the resolutions. As I have said before it is not always who is right, but what is right. " I'd like clarification on the block of visitation. Does this mean no "Official" visitations, or does it mean PHA members cannot attend GLofK consituent lodge meetings at all? If the latter, how is that any different than the GL saying "OK, we know you're there, now stay away." Can someone explain the details? Either way, agreed....a good first step. What, may I ask, would be wrong with MWPHGLOK recruiting in war zones? No other US GL consistently maintains military Lodges is forward deployed areas, where our Travelling Brethren most need some comfort and fraternalism. If no other GL will step up to the plate, then they shouldn't complain about a GL which does. Mainstream GLs are failing their military brethren. And I know that Alpha Military Lodge #195 is doing quite a good job in bringing in new Brethren in Bagram Afghanistan. The Most Worshipful Prince Hall Grand Lodge requested that exact language be used. Rather than put years of hard work in peril, they felt it best to gain recognition with no visitation than to chance having nothing. This way a dialogue can be opened for future collaborations. To clarify, the Most Worshipful Prince Hall Grand Lodge of Kentucky requested this exact language. It was their contention that this process should be approached using baby steps so a future dialogue could be opened up between the respective Grand Jurisdictions. I hope this helps to clear up any questions. 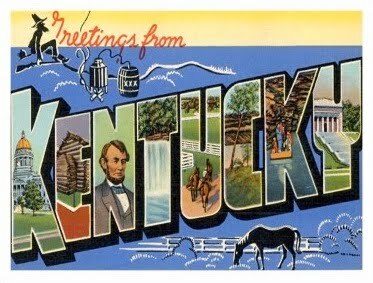 This wasn't something that snuck up on us here in Kentucky, for there has been high level communications between the two Grand Lodges for some time, and there have been a 'social relationship' between the two Grand Lodges, to a point that Grand Masters from both sides have spoke at the other's Grand Master's banquet in recent years. A great deal of credit for taking this bold step should go out to our last three Past Grand Masters, Brothers Herman Forrester, L. Todd Eastham and Donald Yankey, respectively, as well as the MWPGM Hugh Harlan from the G.L. of KY, PHA. MWPGM Herman Forrester took the initial step to bringing mainstream Kentucky Masonry into the 21st Century regarding this, and those that followed and those in the Grand Line know that there is no turning back, and while this may be considered a "baby step", it is a tremendous leap forward for Masonry in Kentucky. I am delighted to hear of this development. May full recognition occur and soon. I still haven't seen anyone explain why PHA OK should be forbidden from recruiting in a war zone. Depends on the jurisdiction, and what you define as recruiting. As for the first bit: Massachusetts now allows members to approach someone they feel might be a suitable candidate and ask them if they are interested. As for the second: is putting up signs announcing open houses recruiting? Some think so, some do not. So, to properly address the issue, we'd need to know what each side of the conversation meant when they used the term "recruiting". Frankly, Br. Chris, I don't know if it is recruiting or not. What I do know is that I don't have a problem with all that advertising. I don't have a problem with a man suggesting to a good friend, whom he thinks might make a good Brother, that he ask. If the man freely and voluntarily asks, then he is choosing it of his own free will and accord, beholden to no other person under pressure. There are many customs of masonry which have not been codified, and really are little more than "we've always done it that way" when they aren't required, or even recommended. Massachusetts looked at the issues of solicitation a number of years ago, and felt that prohibiting a man from suggesting someone apply was one of those things. I wish PHA Oklahoma would seek more international recognition if they are setting up lodges internationally. In Asia there are the GLs of Japan, Phillipines and Scottish Lodges as well who wish to have inter-visitation with their PHA friends but can't because of recognition issues. My father was a Mason. He never talked about it Much before he passed. I have been interested in becoming a member. What is the process? Contact the Grand Lodge in your state, they'll steer you to a close by Masonic lodge. Visit them, get to know them, ask questions, let them tell you their stories. Fill out a petition (you have to have been living in your state for a year), pay the petition fees (usually about $150 or so), and they will investigate you and vote on you. In a nutshell, that's the process. 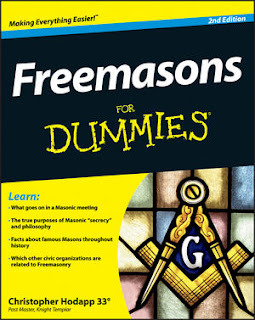 Read Freemasons For Dummies for much more details.